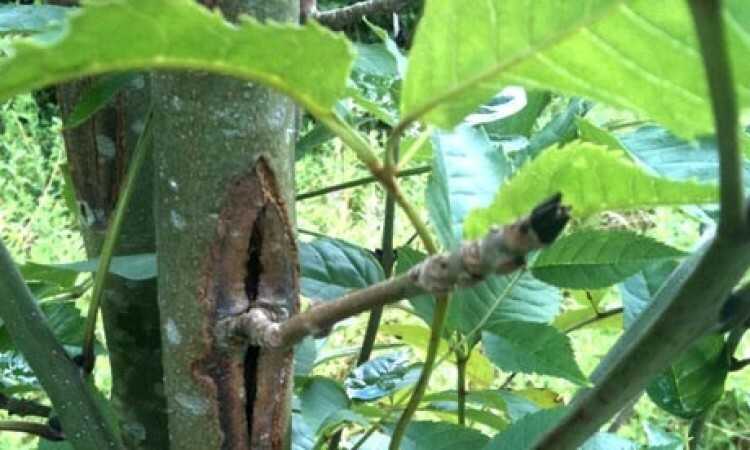 Ash tree growers across the country are counting the cost of Ash Dieback after a survey estimated that the fungal disease could cost the industry £2.5 million. The Horticultural Trades Association (HTA) invited growers to complete a survey in order to capture more accurately the potential costs of the Chalara fraxinea outbreak. • 87% expect reduced business profitability. • 8% of those surveyed believe they may go out of business without financial support. There is an estimated £2.5million worth of ash trees held currently on UK nurseries with the majority being 1-2 year old seedlings, although the total market value is spread quite evenly across all tree sizes. The HTA estimate that nearly 1.5 million ash trees have been imported by the nursery trade over the last 12 months and nearly 4 million since January 2009. This doesn't take into account imports by the landscape and construction market which could well increase import numbers to nearer 3.5 million trees per year which could make imports as high as 60% of the market. As well as loss of earnings from ash stock that now has no market, nurseries also face the threat of incurring costs in destroying diseased stock.. The HTA flagged Ash Dieback to the government as a potential issue in the UK back in 2009 and requested a ban on the import of ash. However, at the time HTA representatives were informed that no quarantine action could be taken because the disease was already present and widespread in Great Britain. The Government then changed its view on the disease in 2010 and set about to obtain evidence to bring about a ban. However, they failed to inform the industry of this change in position until summer this year. In the interim imports continued and the Forestry Commission continued to specify ash in forest planting. Tim Briercliffe, Director of Business Development at the HTA said: "This survey of 62 ash tree growers clearly demonstrates the significant financial impact that Chalara is having on nursery businesses. It is now time for the Government to find a way to support the sector through this difficult period. We have submitted the results of this survey to Defra Parliamentary Under-Secretary, Lord de Mauley, and look forward to hearing from him how he intends to help hard-pressed ash tree growers. The current situation also highlights the need to address underlying policy mechanisms that have led to high levels of tree importing over recent years. The process of tree procurement and agreeing grant funding must take place earlier than it does now to provide stability in the market and give UK growers the confidence to grow more this side of the channel."